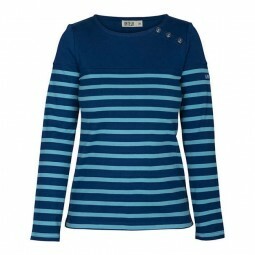 Ecru & blue striped Batela t-shirt for women. 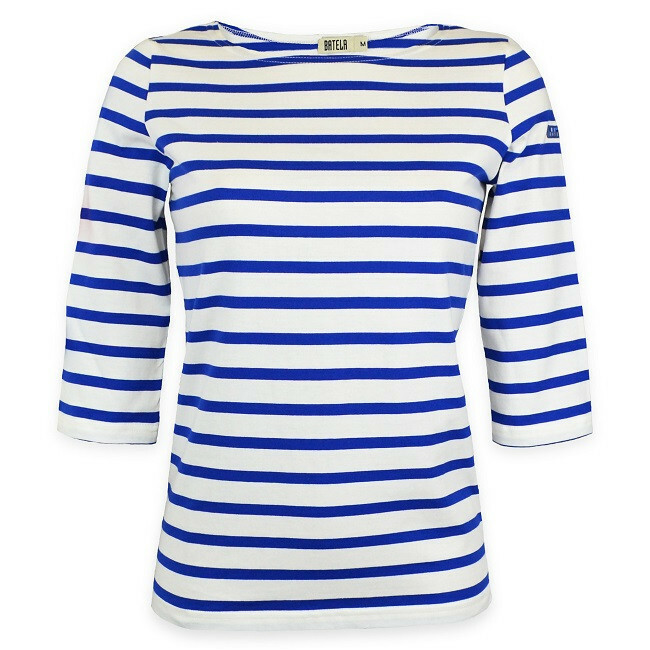 Ecru & blue striped 3/4 sleeve Batela "marseillaise" t-shirt for women. 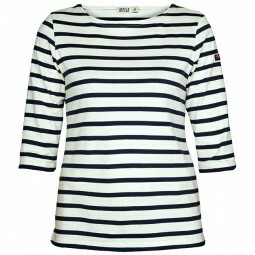 3/4 sleeve; side vents at the bottom; Regular fit; Batela logo on the left sleeve.